Fuel Cell Powered Laptops Coming? Wagener Media is offering CD-RW drive conversions for 1st generation iBooks. These CD-RWs will work in any of the Colored iBooks - 300, 366, 466 MHz models. The drive is a 4x4x24x unit, providing these iBooks with a way to save data. The price is $145 (requires return of your old drive mechanism core) plus shipping. Installation is $10 plus shipping, with a 24 hour turnaround via FedEx. Call for direct help or any questions! And yet more benchmarking, this week Bare Feats' rob ART morgan got his hands on a new, 550 MHz TiBook and ran some comparisons with a Revision A machine. The Revision B unit offers a bigger performance boost than you might expect given the modest increase in processor speed, thanks largely to its doubled VRAM capacity. It appears that Apple has worked at fixing the TiBook's poky FireWire throughput performance, although the iBook still has a slight edge. The Atek Super Mini is very small mouse (that is not a redundancy in this instance) is designed with road warriors in mind. Mac users: USB version is compatible with Mac OS 8.6 or later. For button programming for OS 8/9 download the Atek free driver or use USB Overdrive. A driver is not available yet for OS X, but the right button does bring up the contextual menu. TechReview's David Voss says that methanol micro fuel cells will soon be a reality, quoting Atakan Ozbek, vice president for energy research at Allied Business Intelligence, in Oyster Bay, NY, predicting that "In five years this could be potentially a billion-dollar-a-year market." Not surprisingly, a race to commercialize the technology is in full swing and includes everyone from Motorola and Korean electronics giant Samsung to startup companies like Hockaday's. The competitors are betting on different designs - and even slightly different chemistries - but they share a common goal: taking a bite out of the $6 billion world market for rechargeable batteries. Fuel cell battery packs small enough to actually fit in the battery compartments of laptop computers are predicted, which will essentially eliminate the biggest problem with unplugged laptop use - battery life limitations. As Voss notes, the storage batteries currently used in laptop computers and other portable electronics are basically just highly refined and developed 18th century technology that has little evident potential for improvement. Fuel cells, on the other hand, will keep producing electricity as long as they have fuel, which can be replenished, usually hydrogen or methanol. Speaking of laptop batteries, TechnoJunkie's Bernie Case has posted a report on battery management efficiency on a Pismo PowerBook running OS 9 and OS X. The OSes tested were OS X 10.1 and OS 9.2.1, and Bernie ran three tests: Idle performance, DVD playback, and Sleep performance. In order, battery performance under OS X was 12.25% worse, 2.7% better, and a dead heat compared with OS 9. 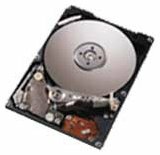 BUYAIB.com and googlegear.com are both offering exceptional deals on IBM TravelStar 20 GB 2.5" hard drives for about $100. The newest members of the IBM Travelstar family of hard disk drives are the first in the industry to implement Fluid Dynamic Bearing (FDB) motor technology for industry-leading idle and operating acoustic performance. In addition, these new TravelStar models support the fast Ultra DMA mode-5 interface for transfer rates of up to 100 MB/sec. The IBM Travelstar hard drives provide areal densities up to 25.7 Gbits/sq. in., yielding up to 15 GB of capacity per disk, combined with an industry- leading operational shock rating of 180 G/2 ms, which makes these drives well suited for today's most demanding users.